August 1, 2, 3, 7, 8, 9. "There is no place like Richter" and Dorothy will agree! Come celebrate the 75th Anniversary of the MGM Classic, The Wizard of Oz running July 25th through August 9th. 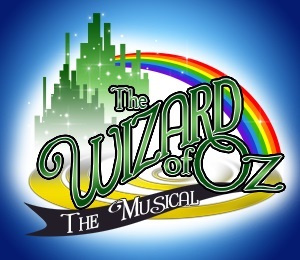 Travel down the yellow brick road with Dorothy, Tin Man, Scarecrow and the Cowardly Lion as they search for the Wizard and the glowing Emerald City. Adapted from the famous movie starring Judy Garland, the stage version incorporates all of your favorite songs like "Somewhere Over the Rainbow," "If I Only Had a Brain," and "King of Forest" with the rare dance number "The Jitterbug" which was cut from the original movie. Aunt Em/Glinda, the good witch of the North: Dorothy’s aunt. An older woman in her 50's. Gentle, good. & loving. Uncle Henry/Emerald City Guard: Dorothy’s uncle. An older man in his 50's. Sentimental pushover. Hunk/Scarecrow: a farmhand who doesn’t have a brain. A young man in his 20 -30's. Zeke/Cowardly Lion: a farmhand who doesn’t have any courage. A young man in his 20-30's. Miss Almira Gultch/Wicked Witch of the West: a busybody spinster. The queen of mean. Professor Chester Marvel/the Wonderful Wizard of OZ: a con artist & fraud. Coroner: 2nd to the Mayor. Pronouces the wicked witch of East is dead! Barrister: the law of Munchkinland. **All munchkins will be between 6-13 years old and must be 4’6” or less.